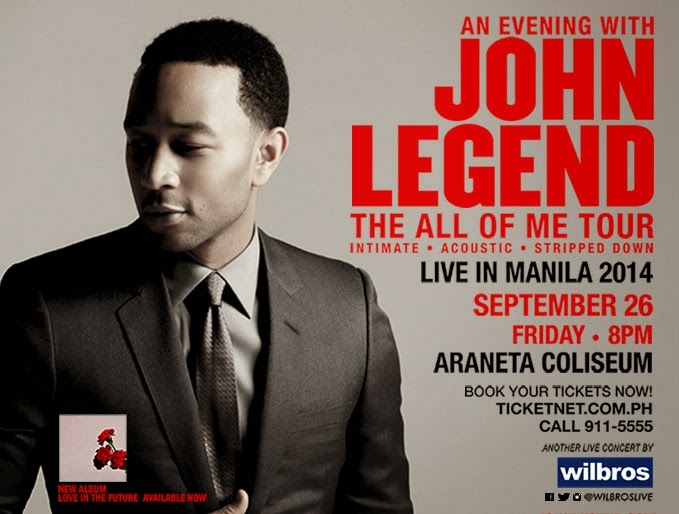 The intimate evening with John Legend in Manila is part of his Asian “All of Me Tour” which will highlight songs from his “Love in the Future” album. Evident in his music is his love for a woman. He married model Chrissy Teigen in 2013 to whom he dedicated the chart-topper song “All of Me.” This is the third single from the album and his first no. 1 in the Billboard Hot 100.